Born April 29, 1991, in Lowell, he was educated in the Lowell Schools, attending the John J. Shaughnessy Grammar School, the James Sullivan Middle School, and graduated from Lowell High School, Class of 2009. He attended Franklin Pierce University as a freshman and was currently enrolled with the University of Massachusetts at Lowell, studying Criminal Justice. When he wasn't playing ball, he could be found spending time with his family, friends, or fishing with his Dad. 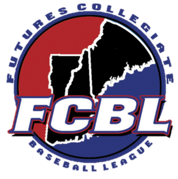 Adam Keenan passed away suddenly on June 6th, 2011 and the Futures League has instituted an annual sportsmanship and scholarship in his honor. Adam was an exceptional individual that exemplified an unbridled enthusiasm and passion for baseball and his legacy will live on in the Sportsmanship and Scholarship Award. Adam had an undiagnosed rare heart condition called Arrhythmogenic Right Ventricular Cardiomyopathy (ARVC). "This award is bestowed upon the player who exemplifies the outstanding attitude, character and sportsmanship that is synonymous with Adam Keenan’s legacy"
An avid sportsman, Adam enjoyed playing football and lacrosse but baseball was his passion. While growing up he played with the Shedd Park League and the Lowell Pony League. He went on to play baseball with Lowell High School. He also played for the Lowell American Legion, Post #87, and the Chelmsford Merchants, and played while at Franklin Pierce University as well as with the University of Massachusetts at Lowell. 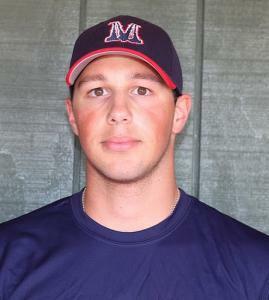 Most recently, he played with the Seacoast Mavericks.